Ambulatory electrocardiogram monitoring devices can be used for 24–72 h to detect arrhythmias. A new device, the ZIO® XT Patch has cardiac monitoring capabilities that can be utilized for up to 14 days. 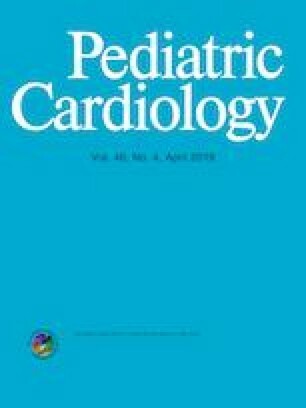 The purpose of this study is to describe duration of ZIO use by age, and to compare its time to arrhythmia detection with the Holter monitor in a pediatric population. A single-center, retrospective review of patients < 18 years of age who underwent clinical investigation with ZIO from October 2014 to February 2016 was performed. An age-matched cohort was utilized to compare ZIO to Holter monitor results. Demographic and diagnostic data, time to first arrhythmia, and arrhythmia burden were analyzed. A total of 406 ZIO were prescribed; median age 12.7 years and 50% male subjects. Median duration of ZIO monitoring significantly increased with age (p < 0.001). 499 Holter monitors were prescribed on a statistically different age group. Arrhythmia detection rates were similar between groups, 10% (n = 42) by ZIO and 9% (n = 45) by Holter (p = NS). The majority of arrhythmias (57%) detected by ZIO were after 24 h (p < 0.0001). All arrhythmias detected by Holter monitor occurred within 24 h (p < 0.0001), mean duration of wear was 24.1 h, range 0.5–48 h. The ZIO® XT Patch may be considered as an ambulatory ECG monitor to diagnose arrhythmia in pediatric patients of all ages. Increasing patient age resulted in increasing duration of ZIO monitoring. Majority of arrhythmias detected with ZIO were identified after 24 h, which would have been missed by other short-term monitors. This study was approved by the Institutional Review Board at University Hospitals Cleveland Medical Center. SP: data review, writing. JAR: study design, data collection, writing. JKS: study design, paper final review. CSS: study design, data review, writing. All authors have declared no conflict of interest.